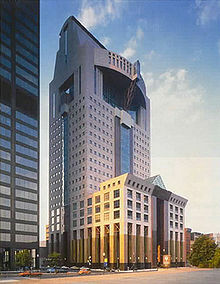 Michael Graves (born July 9, 1934) is an American architect. Identified as one of The New York Five, Graves has become a household name with his designs for domestic products sold at Target stores in the United States. Graves was born in Indianapolis, Indiana. He attended Broad Ripple High School, receiving his diploma in 1950. He earned a bachelor's degree from the University of Cincinnati where he also became a member of the Sigma Chi fraternity, and a master's degree from Harvard University. An architect in public practice in Princeton, New Jersey, since 1964, Graves is also the Robert Schirmer Professor of Architecture, Emeritus at Princeton University. 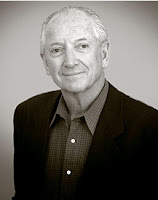 He directs the firm Michael Graves & Associates, which has offices in Princeton and in New York City. In addition to his popular line of household items, Graves and his firm have earned acclaim for a wide variety of commercial and residential buildings and interior design. Graves was elected a Fellow of the American Institute of Architects in 1979. 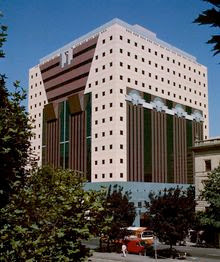 In 1999 Graves was awarded the National Medal of Arts, in 2001 the Gold Medal from the American Institute of Architects, and in 2010 the Topaz Medal from the American Institute of Architects. He is also a Senior Fellow of the Design Futures Council. In 2003, an infection of unknown origin (possibly bacterial meningitis) left Graves paralyzed from the waist down. He is still active in his practice, which is currently involved in a number of projects; including an addition to the Detroit Institute of Arts, and a large Integrated Resort in Singapore. St. Mary's Catholic Church, Rockledge, Florida, 2002. Detroit Institute of Arts, major remodel, Detroit, 2007.